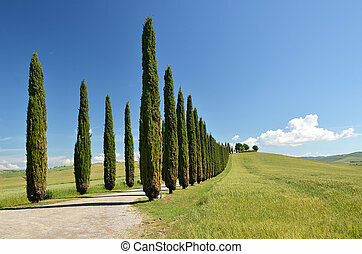 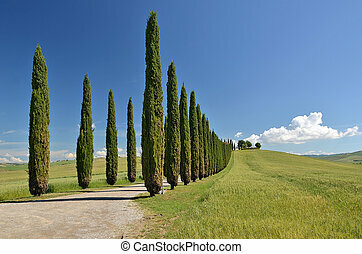 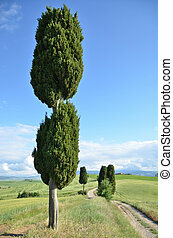 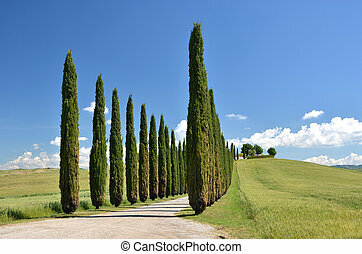 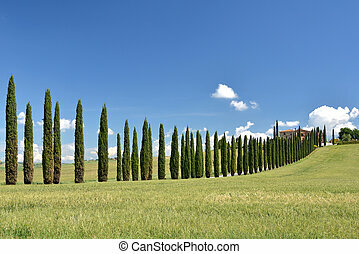 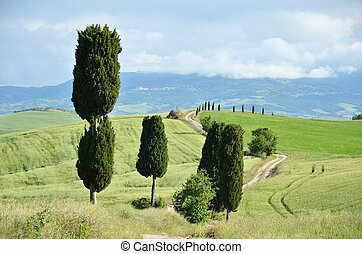 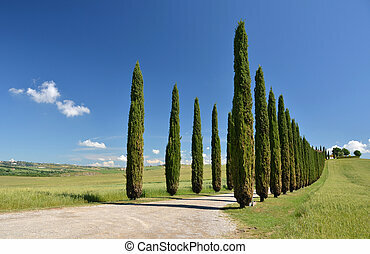 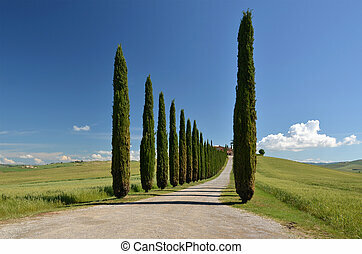 Cypress trees along road. 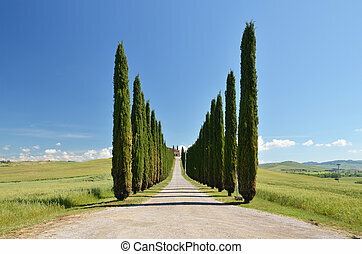 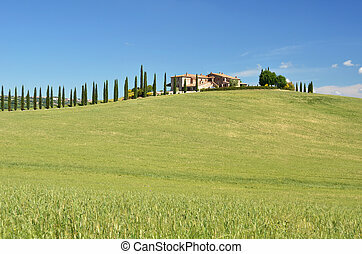 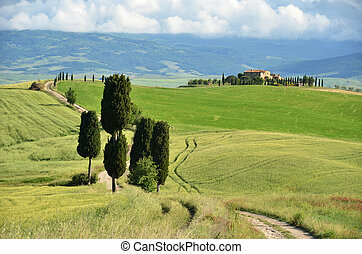 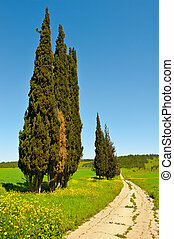 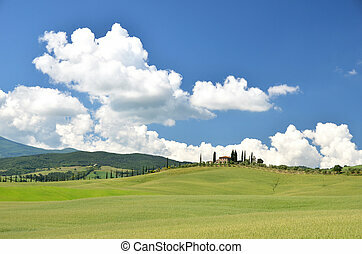 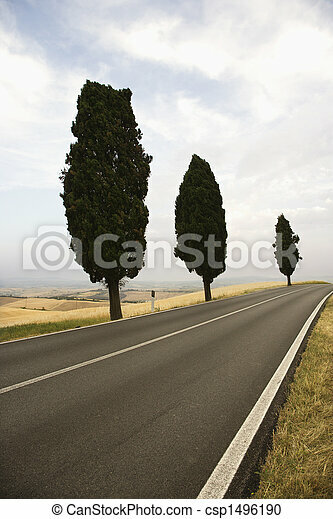 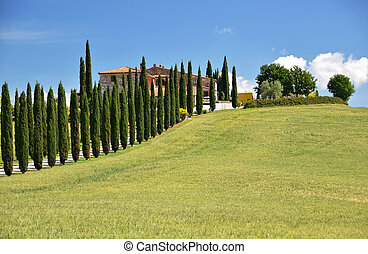 Three mediterranean cypress trees along rural road. 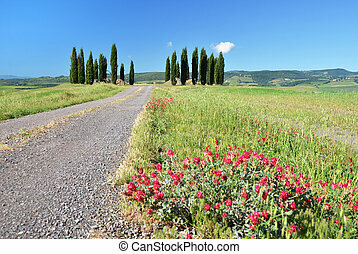 Three Mediterranean Cypress trees along rural road.